It's not a Pokémon Snap sequel, but it could be the next best thing. Niantic, the team behind the Pokémon GO, has announced a photography mode that will be added to the wildly-popular AR game in an upcoming update. Since Pokémon GO’s inception, hundreds of millions of fans, both new and old, flocked to the outdoors to catch, trade, battle, and even photograph their pocket monsters. Inspired by the fans who take their time snapping creative shots of their Pokémon, Niantic hopes the new quality-of-life feature will make this style of gameplay as accessible as possible. Named GO Snapshot, the update will give trainers the ability to conveniently take pictures of all their captured Pokémon. By either viewing a Pokémon individually or selecting your camera item in your Bag, you’ll be able to throw your Pokémon into the real world and adjust your position to get the best snap possible. If you’re having trouble getting your Pokémon to face you, simply slide your finger over them to get their attention. 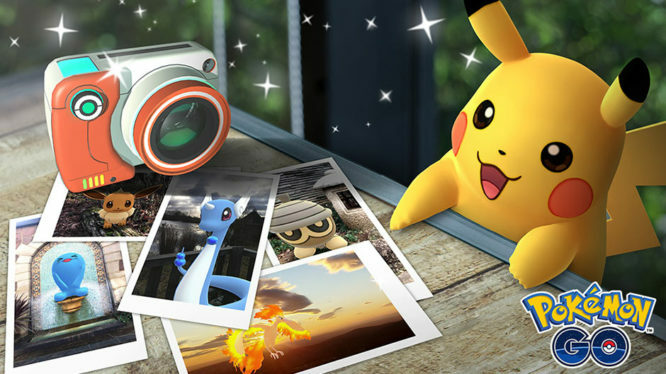 All photos taken are saved directly onto your device, and if you have any you are really proud of, you can share them to social media from within Pokémon GO. Reminisce over the halcyon days of the N64’s Pokémon Snap when GO Snapshot arrives “soon” on mobile devices. Retail & Distributor appearances give hope to Poké Ball Plus longevity. A whole new adventure awaits budding trainers in Galar. 7 whole minutes of "new information" is promised!